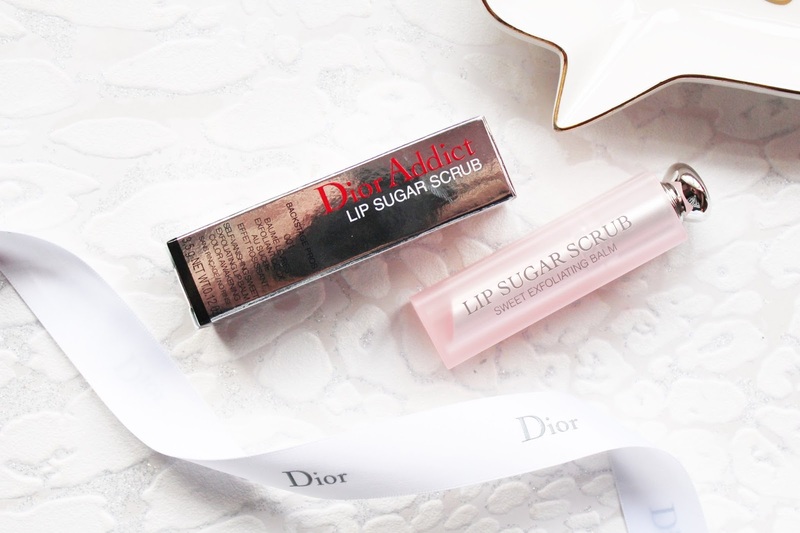 Dior lip products are my favourite treat and I had my eye on this product for a while and my Mum got it for me for my birthday, turns out she does actually listen when I ramble on about new beauty products! Lip scrubs have been saving my lips lately as they have been so dry and much needed every couple of days to keep my lips feeling soft. I have been trying out so many different lip scrubs at the moment and this one stands out from the rest and is different when compared to every other lip scrub I have ever tried. This is from the Lip Glow range at Dior which is my favourite line from Dior, I own all but one of the Lip Glow Lip Balms - you can't beat them! The packaging is almost identical to the lip balms from Dior but this lip scrub has a matte finish to the packaging which I love. As with all Dior products, it feels very luxurious and the product itself is of great quality and has me impressed. 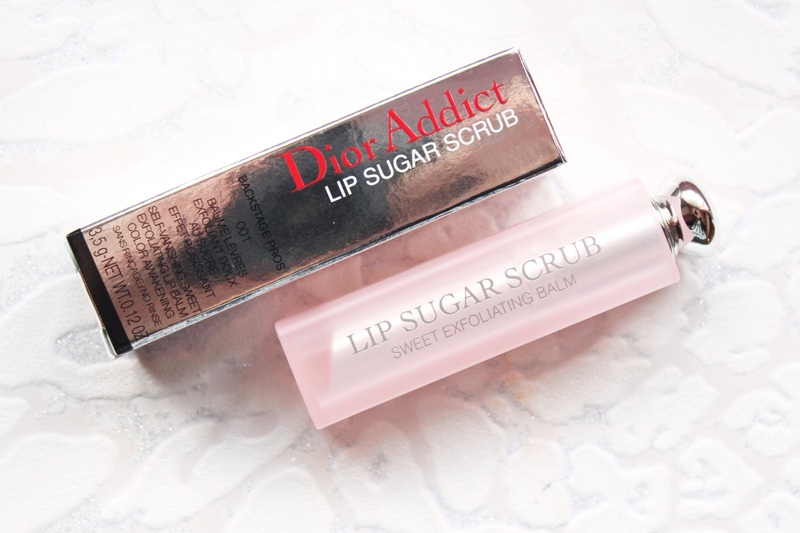 This product is one of the newer launches from Dior and is part of the Spring collection, I also picked up the Berry Lip Glow which is a gorgeous product to add a light berry tint to the lips while keeping the lips hydrated! The lip scrub itself has a sweet yet addictive scent, think vanilla mint, and the scrub is in a stick which makes it so much easier to apply and is mess free. What makes this different to any other lip scrub is as you apply it to the lips, the sugar disappears turning into a balm and leaving a light wash of colour on the lips. 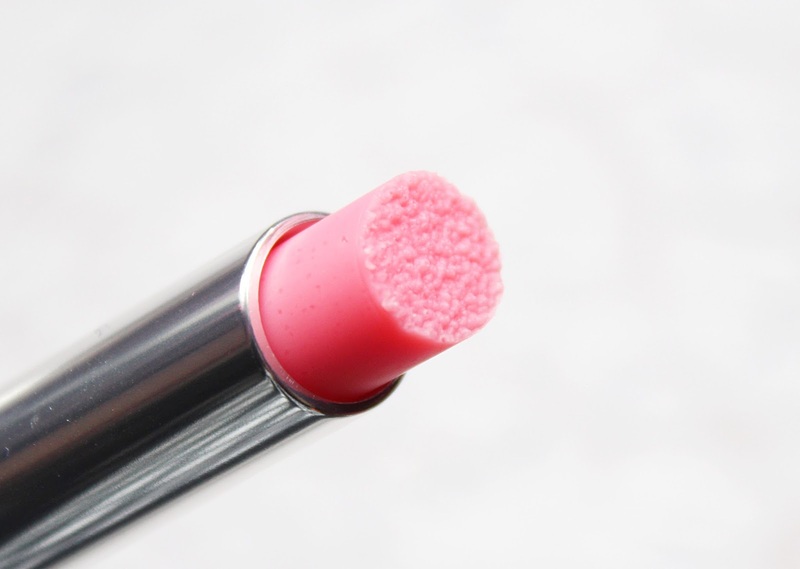 It has a baby pink colour that stays behind on the lips for hours while keeping the lips hydrated. The scrub aspect of the product is fantastic as it gently buffs away dry skin from the lips without stripping the lips of moisture like some lip scrubs can do. This is one of the more expensive lip scrubs I have tried at £24 but as it does turn into a balm afterwards, it's basically a two in one product so better value for money right?! The balm that is left behind on the lips feels just like the lip glow which is on the thicker side but feels very comfortable on the lips. If you have incredibly dry and flaky lips I would recommend something like the Lush Lip Scrubs as they are heavy duty but this is perfect for everyday use to keep the lips soft! 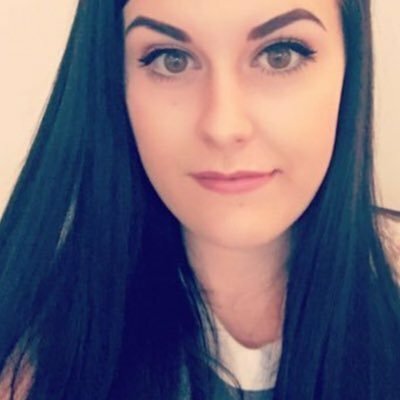 The Dior Lip Scrub retails for £23 at Feel Unique - HERE.